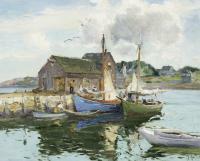 Alten visited the popular and large art colony of Old Lyme, Connecticut in the fall of 1902, whose founder Henry Ward Ranger, attempted to model it after the French Barbizon art colony. 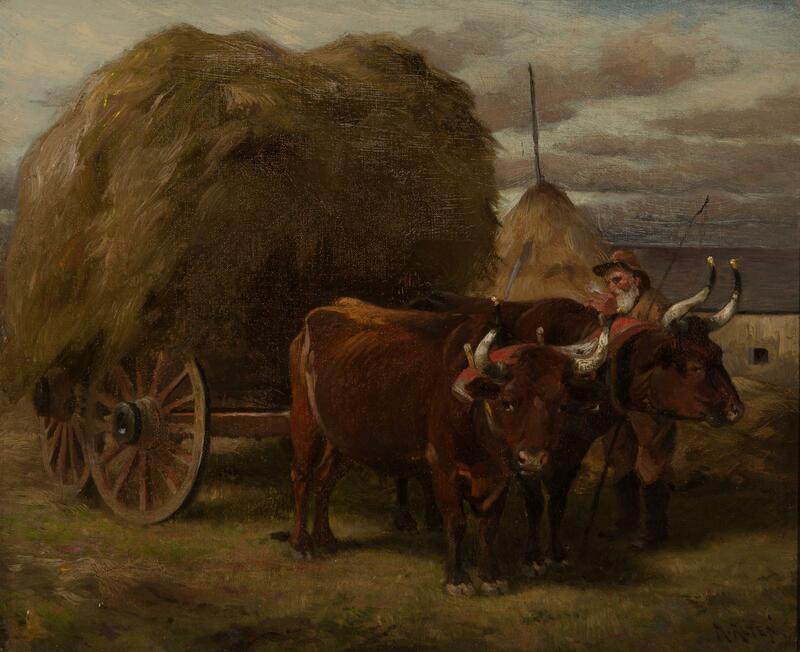 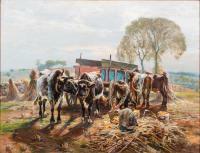 Man with a cart of hay being pulled by two large oxen. 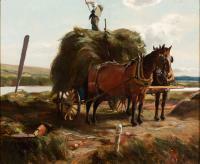 Hay stack visible behind them.